Another of the more freely interpreted shells. 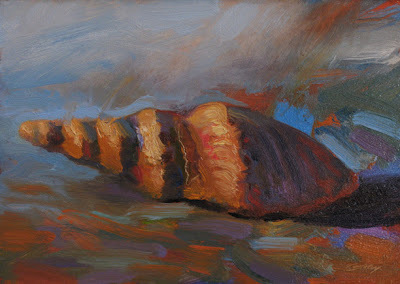 I love how these shells teeter on the edge of abstraction. I won't even say what I thought this was, except that the shell can sometimes seem to have a receding perspective. Thanks, Sam. Hmmm...I'm having trouble seeing a receding perspective.